I mentioned before that I was happy enough with LeanKit that after I had adapted to using it, that I was not going to keep testing out different apps for Personal Kanban. Set up my swim lanes just like I had them on the wall. Define the work state columns however I wanted. Establish whatever WIP limits I wanted and warn me when I tried to exceed them. It let me color code the cards based on work type. 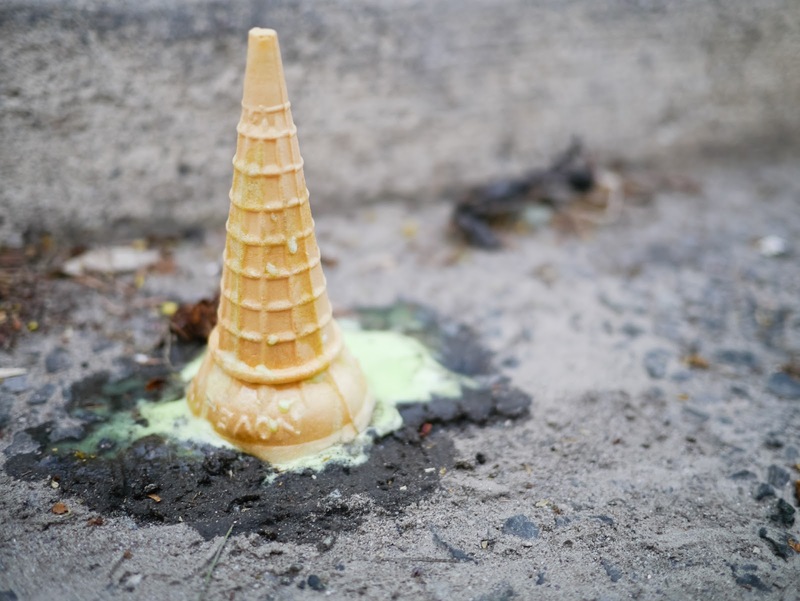 I am also part of a volunteer group that had made a decision to use it and we were able to get full access to the tool which opened up some additional functionality. Being able to attach files to card and assign them to multiple individuals is something I found very helpful when using it with a team. I went to a meeting. I sat next to someone way smarter to me. I glanced at his screen and saw that he was using a Kanban app. Since he is smarter than me, and had come to a meeting with just an iPad (an obvious indicator of superior intellect and travel skill), and his screen was filled with a lot of really bright colors, it became obvious to me that this was an app worthy of further investigation. 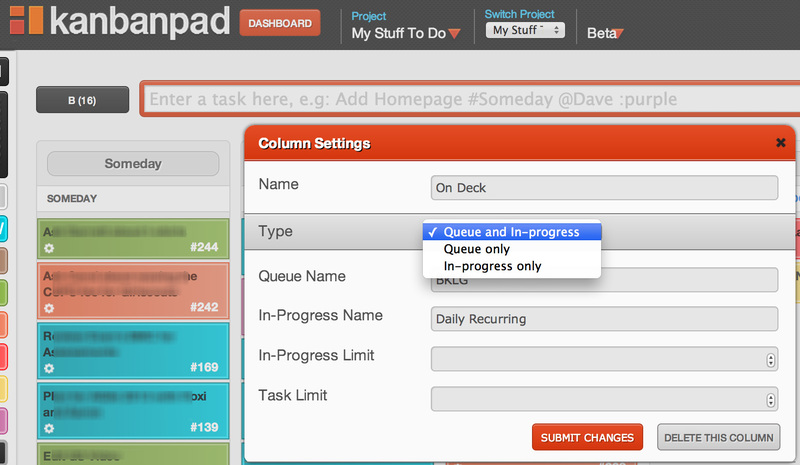 And this is how I was introduced to Kanban Pad. The app works great on an iPad or in a web browser. It's easy to drag cards from one column to another. And technically, Kanban Pad works on an iPhone as well. They do have a version sized for the small screen. Unfortunately, in the smaller screen, you can only view one column at a time. Trying to move tasks between columns in this format left me feeling like I was wearing boxing gloves while carrying a small child, a folding chair and trying to eat an ice cream cone at the same time. 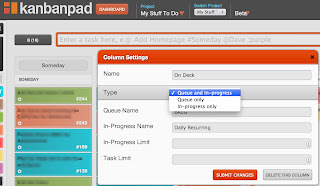 Kanban Pad does allow for customizable, swim lanes, but not in exactly the same way that you'd set them up on a physical board. It allows you to establish multiple columns and within each column the Type setting allows you to establish Queue, In Progress or Queue and In Progress workflows. 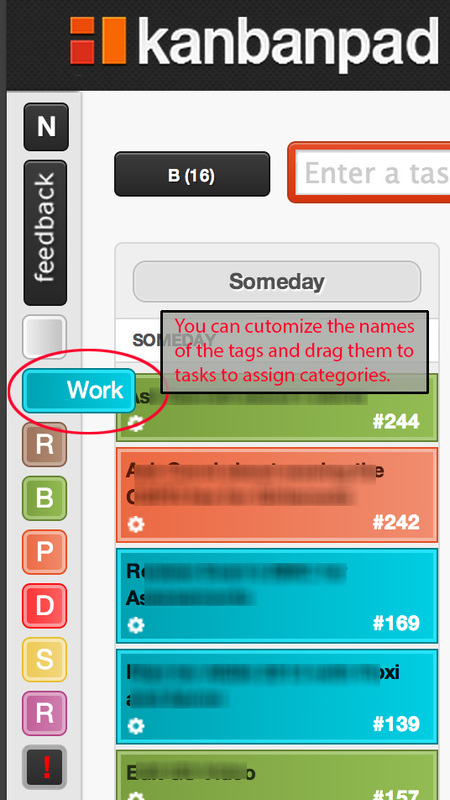 By using Queue and In Progress and editing the labels, I found an easy solution to my recurring task issue. Another great feature is that the Product Backlog and Backlog of work that has moved past Accepted (meaning it no longer needs to be seen), can be maintained off the main task board. Kanban Pad also allows you to establish WIP limits for your queues and it warns you fairly incessantly about your flagrant violation of them should you choose to venture off the path. (I ended up not using this feature because my frustration over the warnings became more significant than my desire to maintain WIP limits. 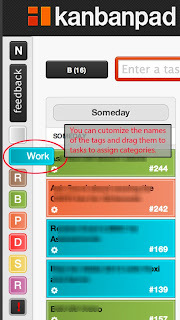 The app includes a feature where you can customize colored tags which can be applied to each task so that you can tell what type of work you are looking at. There are a number of additional features that Kanban Pad offers, but those are the ones that have proven to be most valuable to me from a Personal Kanban perspective. By way of a final verdict/opinion on the app, I offer this... I've been using Kanban Pad for about 6-8 weeks now. It has become my primary tool for managing my work using Personal Kanban. After all my efforts at trying to find a way to use Things as a tool for Personal Kanban, I've all but stopped using Things and only open it (or Reminders) now when I have to capture something that I will add to my task board later. One thing I have noticed about my use of Kanban Pad is that I've begun using the screen on which I am looking at the work as my way of limiting WIP. If there is so much on the board that I have to scroll up and down to see all the work, then there is too much on the board. This means that some tasks have to be A) Cleared on the right so I can keep moving items over B) That I've got to remove some work from the active columns into the Product Backlog (which is not visible form the main board) or C) I need to consolidate and/or delete some items. This may not be the "right way" to do it, but at the moment, it is working pretty well for me, so I am okay with that.